Do you know which of your prospects are most likely to convert in the coming days or weeks? Most don't, but that's starting to change. Infer, a provider of predictive applications, recently released a new behavior scoring solution into general availability which provides those involved in sales and marketing an opportunity to make predictions about which prospects will convert by mining a spectrum of activity data in marketing automation platforms and by using machine learning and predictive analytics to produce more accurate behavior scores. 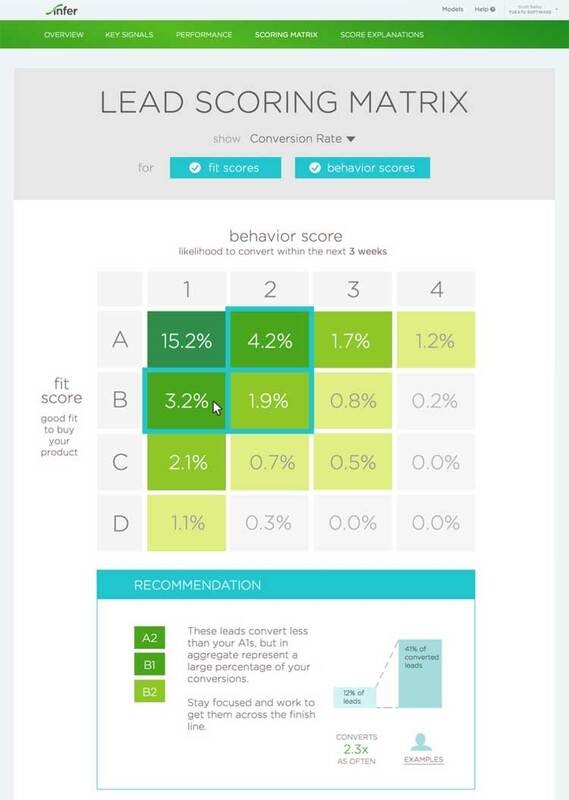 The problem with traditional lead scoring, according to Infer, is that scores tend to be manually assigned, use additive point values and don't calculate the "specific combination, concentration or recency of a lead’s complete activity trail." Infer’s new solution, however, uses "deep hooks" into marketing automation systems like Marketo and Eloqua to model and exploit snapshots of a prospect’s behavior, predicting which prospects sales and marketing teams should invest their time and effort into and when. The solution is currently being used by brands including AdRoll, Chef and New Relic. Infer indicated it has actually generated over 30 million behavior scores for New Relic alone by modeling 47 million activity records.